Over the years I’ve found that riders like when they can intuitively feel a change coming because they hear the music building. And as an instructor it’s so much easier to cue. There are a million remixes on this album and I originally wanted to use a longer one, but I kept coming back to this one. It just felt right. Hope you agree but if you use a different mix please let me know how you programmed it. 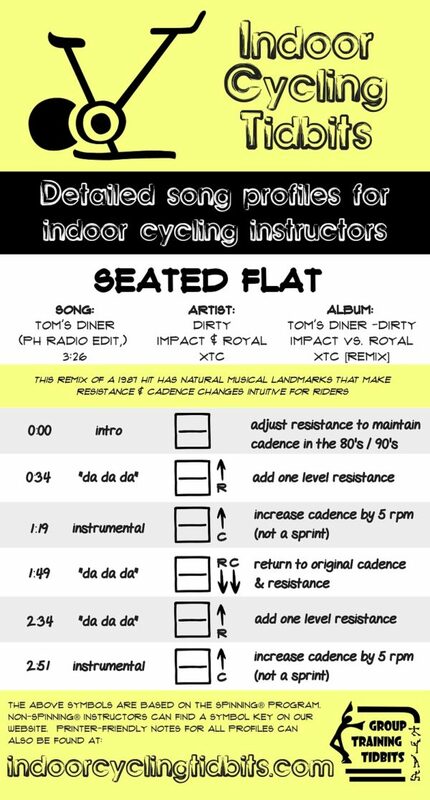 Looking for more seated flat songs? Check out this one and this one.